Since 2001, Croatia-based company TENEO PR Consulting has been specialized in individual, tailor-made projects in the fields of public relations and marketing consulting. Teneo cooperates with the largest Croatian and regional (EU) public relations & advertising agencies. including an analysis of the external perception of one’s company or product. By way of an independent analysis, we will pinpoint both negative and positive examples, and possible ways to deal with everyday challenges. Communicate with the local community on time and in a way that suits you best. Plan and announce a possible environmental impact or restructuring process before it slides into an uncontrollable crisis. Anticipate your key stakeholder´s positions and agendas because they are often one of your most important assets (or burdens). No matter how hard you try, crises are sometimes unavoidable. Work-related accidents, problems with liquidity and firings, pollution…These are all unfortunate situations in which you are required to defend yourself and explain your actions and attitudes. The building of the image of a successful company begins within the company itself. • How often and in what way do you communicate with your employees? • How do you convey important messages and motivate your employees to achieve the goals? The INTERNAL COMMUNICATION program can provide answers to most of the challenges of the modern business communication. Whether your company consists of 50 or 500 employees, Teneo will recommend quality, easy-to-manage and cost-effective models of internal communication. Increase your destination’s potential by creating additional value for tourists and prolong the season. Create plans and implement projects which can boost business potentials of your community, engage different stakeholders, increase the overall visibility and be more profitable in your business. European Commission – local management of pan-European communication campaigns. Projects: European Young Journalist Award, European Year of Citizens 2013, European Development Days, EURAXESS, Young Entrepreneurs Network and several press trips in the pre-accession period. Main tasks: communication plans, media relations, stakeholder relations and media analyses. Delegation of the European Commission in Croatia. European Commission’s communication strategy for Croatia. Main tasks: developing the overall communication strategy toward all key publics, alongside a situational analysis for the period until the referendum on the EU accession. EU OSHA – European Agency for Safety and Health at Work – years-long involvement in the Agency´s projects in Croatia. Main tasks: media relations, developing communication plans and organizing seminars and professional gatherings. Ministry of Regional Development and EU Funds – Operational program “Regional competitiveness 2007. – 2013.“ Main tasks: developing the overall communication plan, identifying successful EU fund users, and designing visibility activities aimed at all the key publics. Energy sector – Adriatic Pipeline, INA, MOL, and ENNA. Main tasks: media relations, crisis management, internal communications and CSR. Gourmet Passport – a tailor-made project implemented for the Northern Istria region. The project involves various stakeholders (hotel companies, restaurants, wine & oil manufactures…) in a loyalty program designed to raise awareness of the region as one of the top gourmet destinations in Croatia. National Geographic – Croatia from Above. Overall promotion of the notable photo monograph by Davor Rostuhar, the first Croatian to conquer the South Pole on foot. 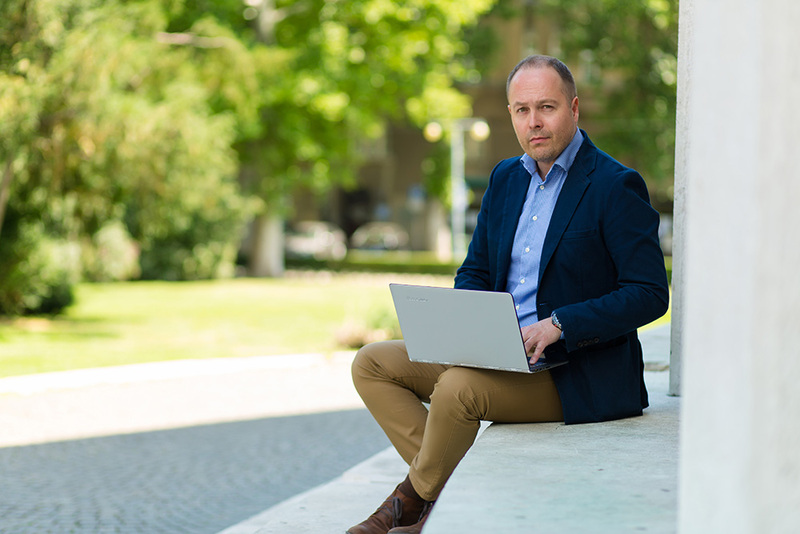 Over the years, Alan has been responsible for media relations, business development, strategic consulting, media trainings and event management for numerous both domestic and international clients in Republic of Croatia. His portfolio ranges from industry, finance, tourism, politics, EU institutions and campaigns, and NGO sector to lifestyle, sports and culture. Alan was also a board member at national PR association (HUOJ) and jury member for the annual national awards Superbrands Croatia and PRO PR Vision City.